Opioids include prescription medications like oxycodone, morphine, and fentanyl. While these may be prescribed for treating problems like kidney stones or for recovery after surgery, in general the goal is to use these drugs for a brief period of time. In pregnancy, prenatal opiates can be used and the same guidelines apply: try to use the lowest dose needed for relief, for the shortest amount of time possible. This is because while these medications have their role in treating pain, if used inappropriately then can have negative effects on a growing baby. Studies have shown that opioids taken by pregnant women do not result in an increased number of birth defects, which is good news for women who need to use them acutely in pregnancy. However, the most well-known concern of long-term opiate use or opioid use disorder in pregnancy is the development of neonatal abstinence syndrome. 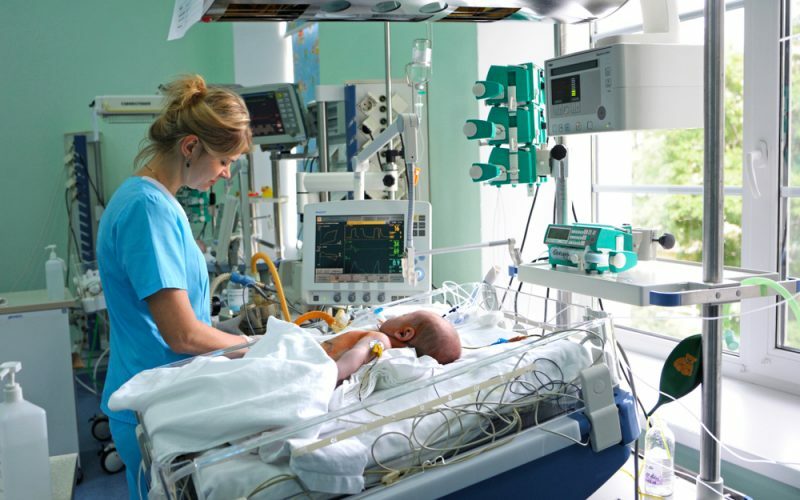 Neonatal abstinence syndrome, or NAS, is a withdrawal syndrome seen in newborns who are born to mothers who used chronic opioids during their pregnancy. In essence, it is the baby withdrawing from the drug the mother took since, now that he is born, he is no longer getting the dose of opioids that he has been chronically exposed to in the uterus. Symptoms of NAS include irritability, high-pitched crying, problems sleeping, and poor feeding related to uncoordinated sucking. These babies can also have issues with sweating, diarrhea, and seizures. Opiate exposure in utero may also lead to growth restriction, or babies being born smaller than they should be. This is hard to study, however, since many women who are abusing opiates in pregnancy are using other substances such as tobacco and alcohol, making it hard to know which substance caused this effect. In the few studies that have been able to isolate only opiate use, however, lower birth weights were seen in babies, but ideally more information is needed to know for sure. In addition, longer-term studies that looked at these babies when they were older did not see a difference in growth patterns. Some women who have opioid use disorder may turn to illegal forms of opiates to meet their needs. This includes using drugs like heroin. Women with untreated addiction, where drugs like heroin are used, are at a much higher risk of more serious pregnancy complications, such as preterm birth, placental abruption, and acquiring sexually transmitted infections that can harm a developing baby. Using these illicit substances can also lead to miscarriage and stillbirth. Overall, opiates can be safely used for a brief period of time when prescribed for a medical reason and under the supervision of a physician. Ideally, they are only one piece of a pain management puzzle, and other pain control methods such as physical therapy, massage, and non-narcotic medications are used. If used long-term, at very high doses, or illicitly, however, these drugs can certainly have negative consequences for a growing fetus. Opioids include prescription medications like oxycodone, morphine, and fentanyl. Overuse of these medications may lead to fetal growth restriction. Neonatal abstinence syndrome is a withdrawal syndrome seen in newborns of women who chronically use opiates. Opioids should be used in pregnancy at the lowest dose for the shortest amount of time. Prenatal substance abuse: Short- and long-term effects on the exposed fetus. Vol 131, issue 3. March 2013. The American Academy of Pediatrics. Technical report: Prenatal substance abuse: Short- and long-term effects on the exposed fetus.